Many in the scholarly world are dismissive about the historicity of the patriarchs. One source that is helpful in understanding the world of the biblical patriarchs is that of the Nuzi Tablets. Nuzi was a Hurrian administrative center not far from the Hurrian capital at Kirkuk in northern Iraq. The Hurrians are equivalent to the Horites in the Old Testament, also called Hivites and Jebusites. Excavations were carried out at Nuzi by American teams from 1925 to 1933. The major find was more than 5,000 family and administrative archives spanning six generations, ca. 1450–1350 BC. They deal with the social, economic, religious and legal institutions of the Hurrians. (Bible and Spade 18:32). Nuzi Tablet. Semitic Museum. Photo by Leon Mauldin. 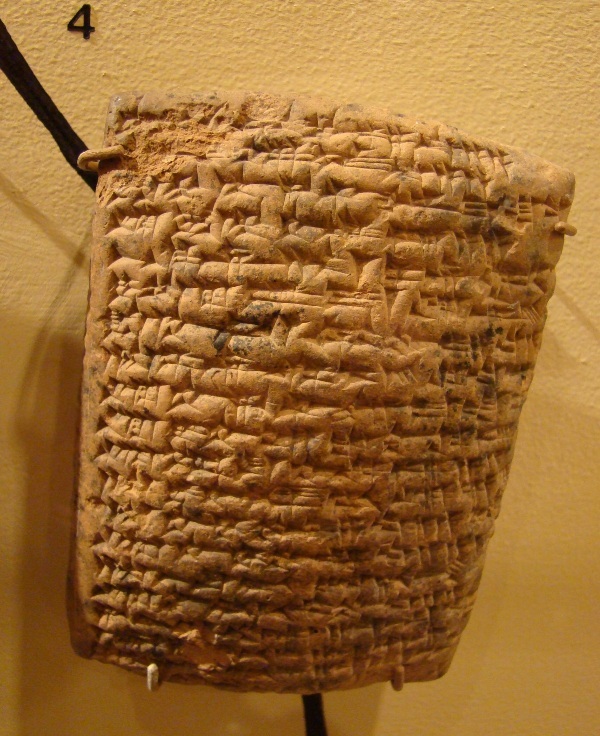 The tablets tell of practices similar to those in Genesis such as adoption for childless couples (Gn 15:2–3), children by proxy (Gn 16; 21:1–21), inheritance rights (Gn 25:29–34), marriage arrangements (Gn 28–31) and levirate marriage (Gn 38; Dt 25:5–10). They also demonstrate the significance of the deathbed blessing (Gn 27; 48–49) and household gods (Gn 31:14–19, 30–35). Some Nuzi tablets, called “tablets of sistership,” have agreements in which a man adopted a woman as a sister. In the society of the Hurrians, a wife enjoyed both greater protection and a superior position when she also had the legal status of a sister. In such a case, two separate documents were drawn up, one for marriage and the other for sistership. This may explain why both Abraham (Gn 12:10–13; 20:1–2) and Isaac (Gn 26:7) said their wives were their sisters. It is possible that they had previously adopted them to give them higher status, in accordance with the custom of the day. Family records were highly valued at Nuzi, being passed down from father to son for as many as six generations. Nowhere else in the ancient Near East is this kind of reverence for family documents illustrated, except in the Old Testament. Indirectly, the practice at Nuzi supports the position that Genesis and the other books of history in the Old Testament are grounded in actual family, clan and tribal records carefully passed from generation to generation. As with Mari, the Nuzi records demonstrate that the cultural practices recorded in the book of Genesis are authentic. The accounts are not fictional stories written at a much later time, as some critics claim, since the customs were unknown in later periods (ibid.). Also, and ultimately, it is important to remember that Jesus endorsed and taught the historicity of the patriarchs! cf. Matt. 8:11; 22:32, etc. This entry was posted on Saturday, March 5th, 2011 at 8:11 PM and is filed under Archaeology, Bible History and Geography, Bible Study, Evidences, Old Testament. You can follow any responses to this entry through the RSS 2.0 feed. You can leave a response, or trackback from your own site.